The best way to remove water from your pool cover is by using a pool cover pump. 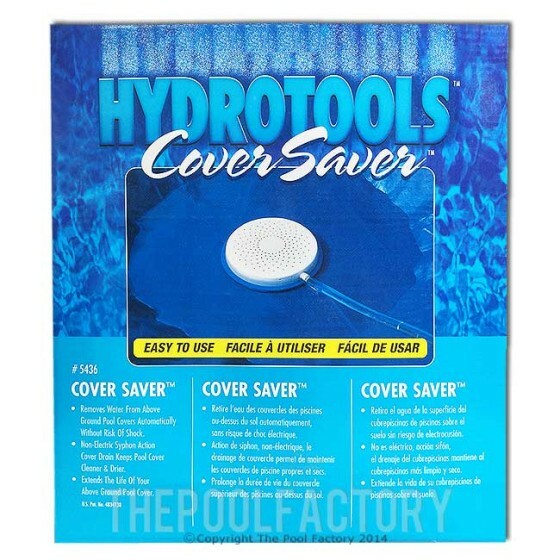 A swimming pool cover pump removes water from the pool cover quickly and is a very important winterizing accessory. Water left on top of your winter pool cover can be very heavy and can cause ripping or tearing of the cover. The water can also freeze and damage your cover so it is very important to periodically remove water from your winter pool cover. Freezing water cannot be totally eliminated in colder climates but if kept to a minimum it will help avoid or minimize damage. There are many benefits of winter cover pump and keeping your pool safe is one of them! 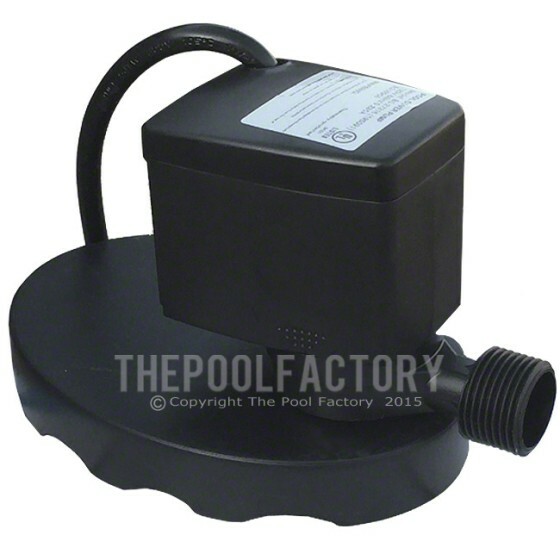 Swimming pool cover pumps come in manual, electric and automatic electric models. Manual pumps, like the Hydrotools Cover Saver, come with a 13 foot siphon hose. You simply have to squeeze the siphon ball until the water starts to flow from the tube. Once the water is removed from the cover, the water will stop flowing. These are the simplest and least expensive types of cover pumps to use. Being that the design is so simple, there aren’t many things that can ever go wrong with it. Just follow our steps and you’ll have a safe pool year in and year out. Simply place the drain on top of your pool cover and squeeze the siphon pump until water begins to flow, water flow will stop when the cover is drained. No electricity is needed. Some electric cover pumps, such as the Ocean Blue Winter Cover pump, can be operated with an on/off switch. This type of cover pump has to be monitored to make sure it has been turned on when it rains and off again when the water has been pumped off. The Ocean Blue cover pump is an electric pool cover pump specifically designed for removing water off the top of pool covers. There are also automatic cover pumps that will turn on as water accumulates and turn off when the cover is pumped dry. 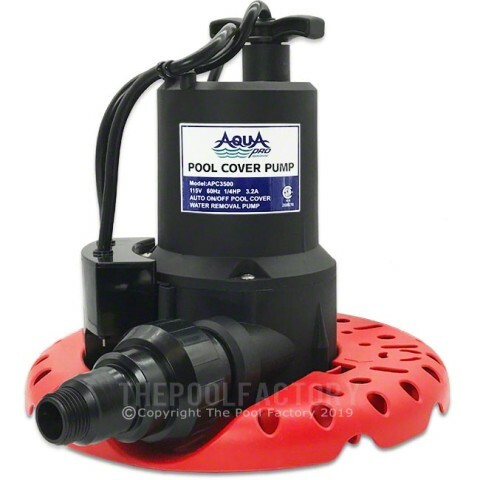 The AquaPro 1800 and Little Giant Automatic Pool Cover Pump are a few examples of pool cover pumps that function automatically. All of these cover pumps require a standard garden hose to operate correctly. 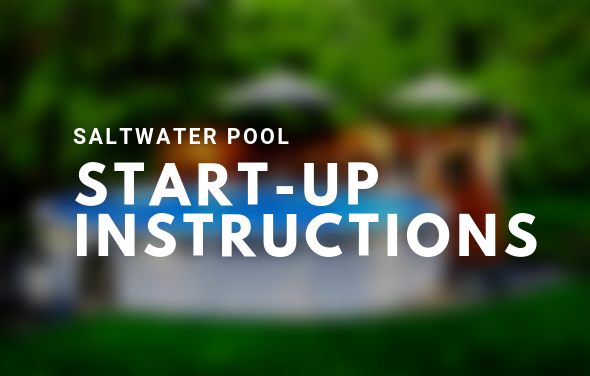 If you leave your pool cover with a large accumulation of rain water for a long time, you will run into some costly and time consuming problems. For one, it will be very difficult to remove the cover come spring time without pumping that water off. With the weight of the water on it, it may actually be impossible. Also, too much water weight on top of a winter pool cover can severely damage an above ground and would not typically be covered under warranty. If you attempt to remove your cover without removing the water build up, the dirty winter water and debris will flow into your mostly clean pool water. This will cost you more time to clean the pool, and the need for more chemicals. Using a winter cover pump is a much easier way to tackle this problem. armor shield liner floor pad with a dished pool? the pool is 27′ round. We would not recommend using a liner pad when dishing a pool bottom. The pad would not fit correctly and create wrinkles. An all sand bottom would work better for you.